Pastor Terry LaFramboise was born on an Indian Reservation in North Dakota, the third child of eight children. In the sixties his family moved to Southern California; his parents separated when he was only eight years old. Although raised in the Catholic tradition, Terry's family was anything but religious. At the age of 17 he was converted to a true and personal faith in Jesus Christ as his Savior and Lord. Spurned by his newfound passion for the Gospel Terry quickly became an active witness for Christ in his town and at his school. Soon after he joined the Navy where he continued his evangelistic endeavors, establishing Bible studies, and even founding a church in Subic Bay, Philippines. 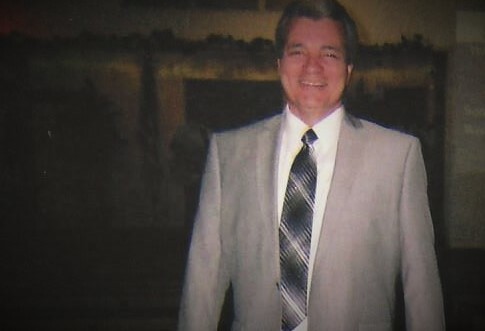 After his discharge in 1977, Terry attended Pacific Coast Baptist Bible College, and also joined Rev. Jerry Osborne in ministry at Baptist Community Bible Church in Norwalk, California. Over the span of 20 years Terry served at the church as bus ministry superintendent, and later as assistant pastor and school principal. Since 2003 Terry has pastored here in Ontario, and is determined to keep preaching the Gospel till Jesus comes! Terry has been married to his wife, Donna, since 1978. They have 5 children and 7 grandchildren.